This Vestil WS-6-RB-1.5 weather stripping is a 1-1/2" replaceable brush for keeping out insects and rodents. 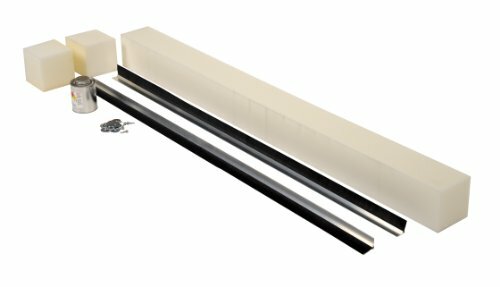 It is 54" in length and is suitable for pit mounted dock levelers with a pit 62" in length. It has an aluminum extrusion channel for resistance to corrosion. The extrusion strips are bolted to the sides of the leveler, and the brush slides into the channel.